Ian Warner is a Canadian track athlete specializing in the 100 meters. On June 30, 2012, he finished second behind his brother, Justin, in the 100 meters at the 2012 Nationals Track & Field Championships in Calgary to make his first Olympic team. 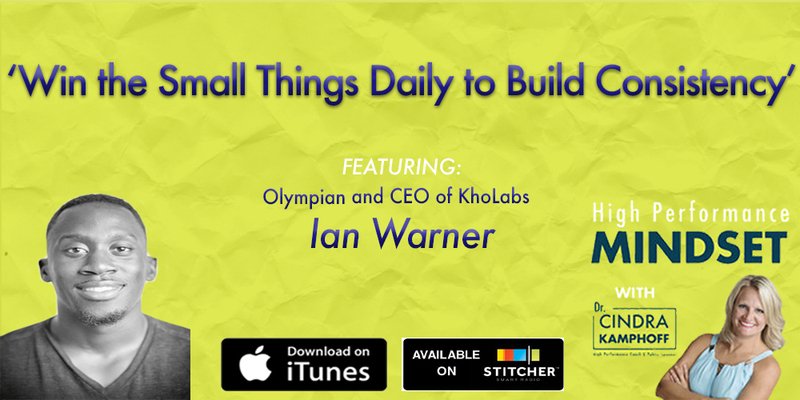 He is the founder of Kho Labs, which is a mobile technology that connects injured athletes with local health care providers. Ian is also a self-published author, an avid reader (he read 100 books in 2017), and runs a website called athleticcourage.com. We’d love to hear from you on Twitter – find Ian on Twitter at @Kho_Labs and Cindra @Mentally_Strong.